It’s now been more than 25 years since Arnott took their place as a leader in the air suspension industry. But, just because they’ve been on top for 25 years doesn’t mean that they are resting on their laurels. The innovations seem to never stop with them, and the newest line of innovative products can be found right here at Dennis Kirk. If you want air ride suspension, you are in the right place. We stock a fantastic selection of Arnott shocks for you to choose from. Custom fitted for your specific Harley, the rebound-adjustable Air suspension system is one of the best thing you can do for your motorcycle. No more jarring bumps, and no more bottoming out. You can quickly and easily alter your suspension to make it perfect for you and your motorcycle. Arnott offers a wide range of variations in features and prices for their products, helping ensure that there is something for everyone in their product line. Feature like adjustable rebound and handlebar switches are desirable, but optional. If you don’t think you’d want them, there is no reason that you should pay for them! All of the products in this selection look quite similar at a glance, and sifting through them by hand can be an inefficient use of your time. But, rather than make you put in the time, we’ve developed a solution! On the left side of the screen, we’ve made categories that break our Arnott products down by price and type. You can then sort the products even further by using the “Sort By” tool at the top of the page, directly above the page results. 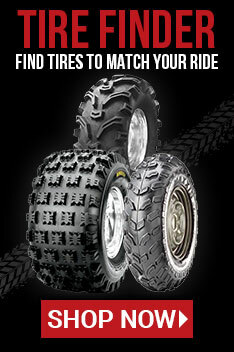 Once you’ve found the shocks that will suit you best, place your order! We will ship them out the very same day, and orders over $89 will even ship for free. That’s just how we do things here at Dennis Kirk.